This Sunday(Oct Â 14) will be our second year of apple cider making for Small Ritual. 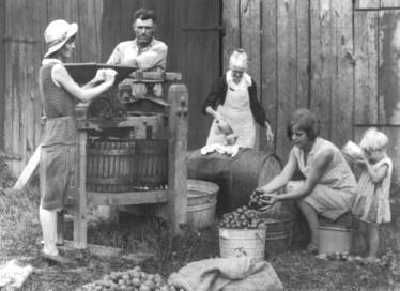 Â Meet @ the Brooksdale Environmental Centre (19353 16th Avenue, Surrey) at 10 am, ready to pick, peel, chop, and smash apples into lovely apple cider. Â Please bring a few good knives, cutting boards, and enough warm, waterproof clothes just in case we get wet. Â Please also bring apples with you – even if it is just a bag from the store. Our morning of practical worship will begin with a brief time of reflection before we start on the apples. Bring a sack lunch to enjoy lunch together Â if the weather is decent!